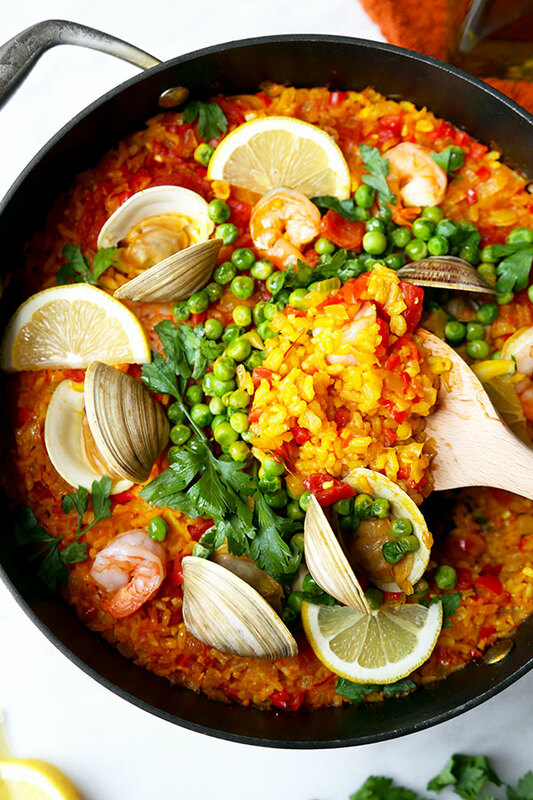 Paella is a traditional Spanish rice dish filled with meat, seafood or a combination of both. It is filling, flavorful and hits just about every food group on the pyramid for a balanced meal. 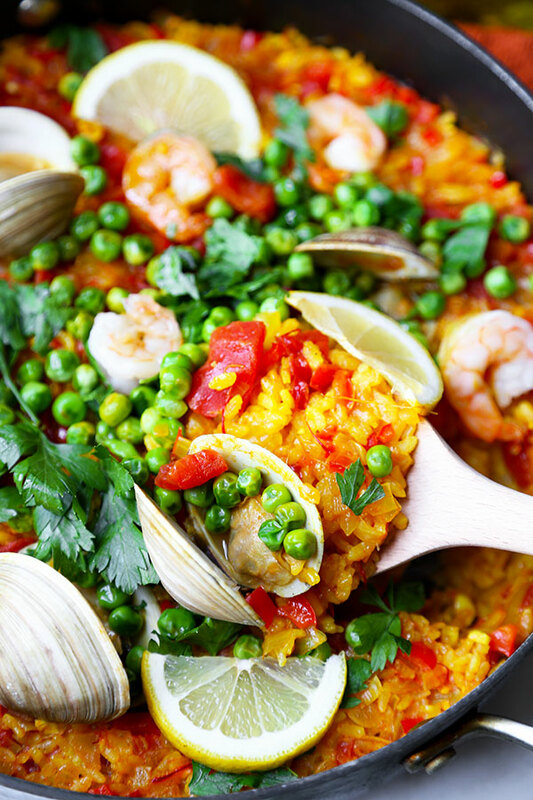 This Mediterranean recipe will totally transport you to Spain—if you can’t physically be there, you may as well eat like you are. 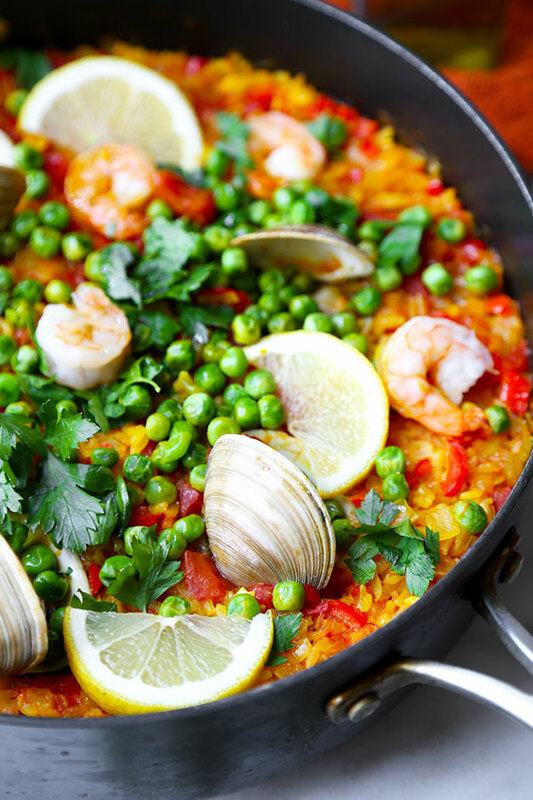 Pair with a glass of Albariño or a Spanish rosé. We can’t wait to hear how much you and your family enjoyed this recipe. In a deep pan over medium high heat, add olive oil, garlic, onion and red bell pepper and cook for 3 minutes, until vegetables have softened. Add rice, turmeric and paprika and stir well. Add tomatoes, chicken stock and saffron, stir and bring to a boil. Lower heat to a simmer, cover and cook for 20 minutes. Spread shrimp, clams (or mussels) and green peas on top, cover and cook for another 10-15 minutes, until clams (or mussels) have opened and the shrimp are pink. 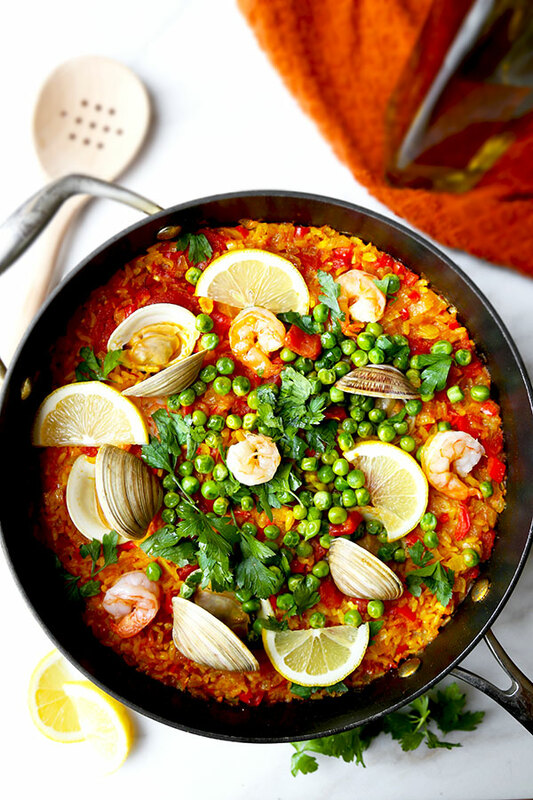 Turn the heat off and top paella with parsley. Serve with lemon wedges on top.